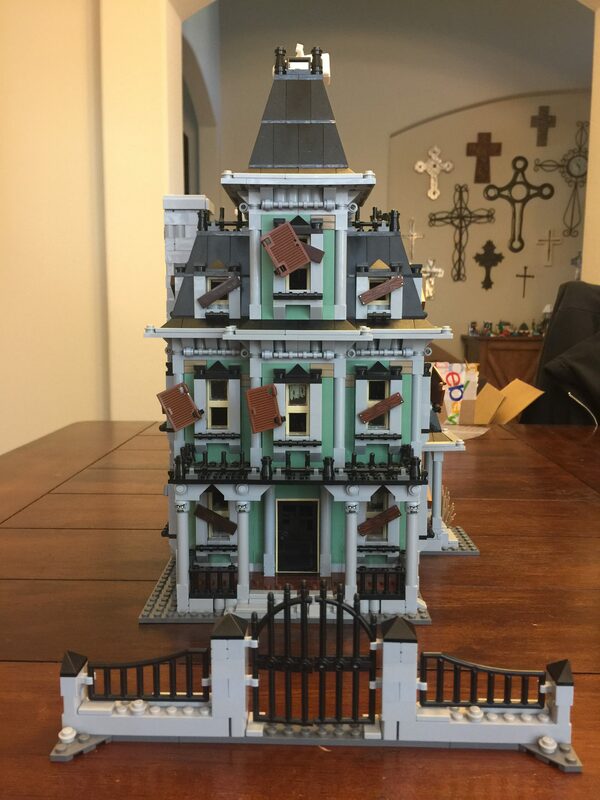 I know the LEGO® Haunted mansion has been retired since 2015, but I had the chance to rebuild this for someone in our community. 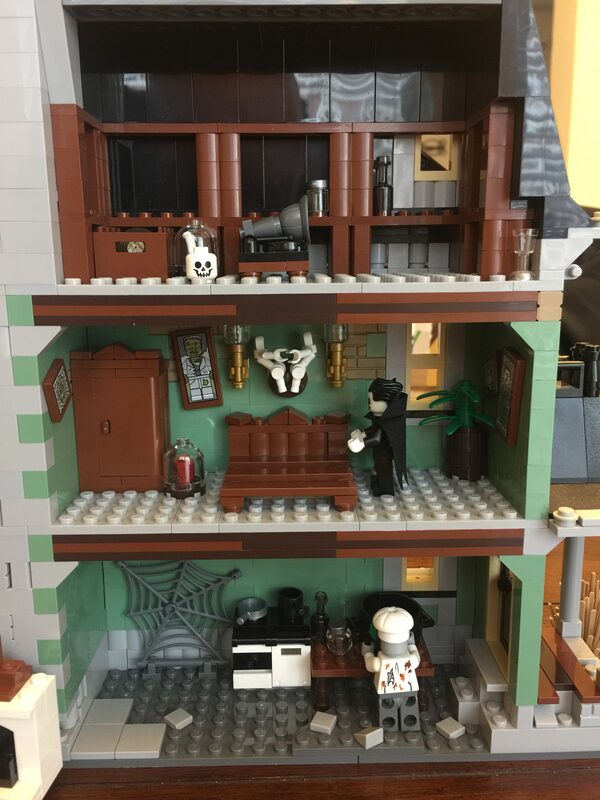 I wanted this set for myself, but never had the funds to acquire it before it retired. Last week I was on a plane flying to New York City for a business trip, and saw a post on Facebook that caught my interest. 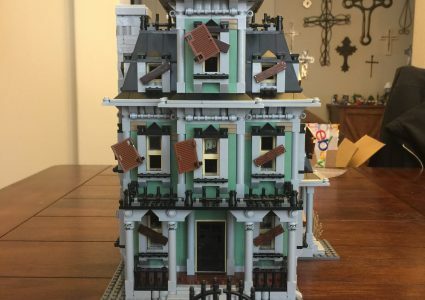 The community I live in has a couple of Facebook groups, and a woman posted asking for help rebuilding this set. 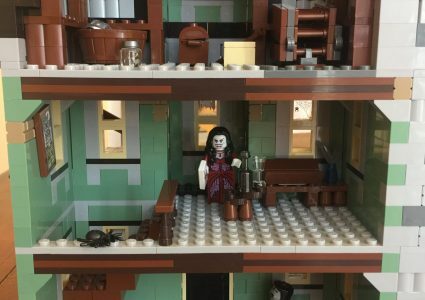 She offered a cash reward for helping her out, but the Brick Dad isn’t about the money. I was the first to respond, and soon we were setting up a time for her to drop off the set at my house. She shared pictures of the condition and it wasn’t looking good for a quick fix. 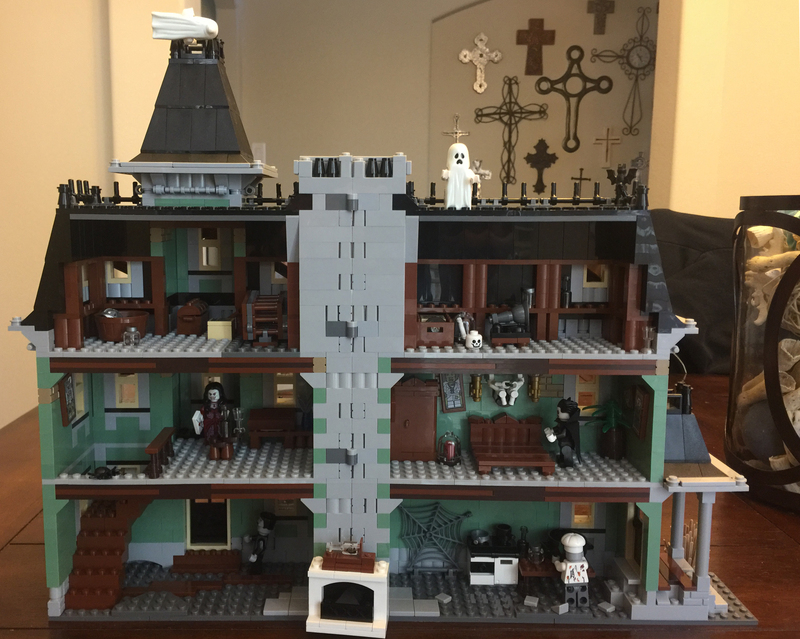 She purchased it on eBay, and the seller agreed to put it together prior to shipping. I’m not sure if they actually tried to put it together, or if it just didn’t make it through shipping. I thought I might be able to just put the larger parts together, and then fill in the rest. Once I saw it in person, I knew that I would have to do a complete tear down and rebuild. I know, darn it! I set into taking it apart and sorting parts by size and color. 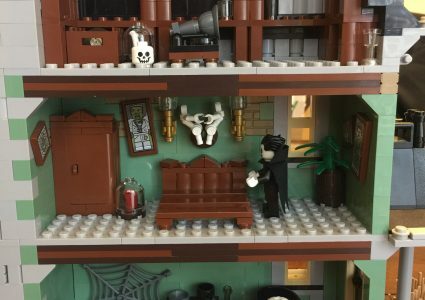 I like to rebuild sets all of the time, so this wasn’t anything new. Plus, I grew up in the era before LEGO® would number bags. 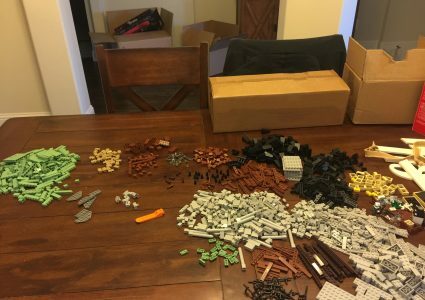 Yep, we would get a set, open it, and dump the contents onto the floor and build. It went smoothly, just a few missing decorative parts. Nothing for the main structure, and nothing I couldn’t replace on the other parts, minus one bush. I’m not going to go into too many details, especially since it is retired. The build was fun, nothing challenging. 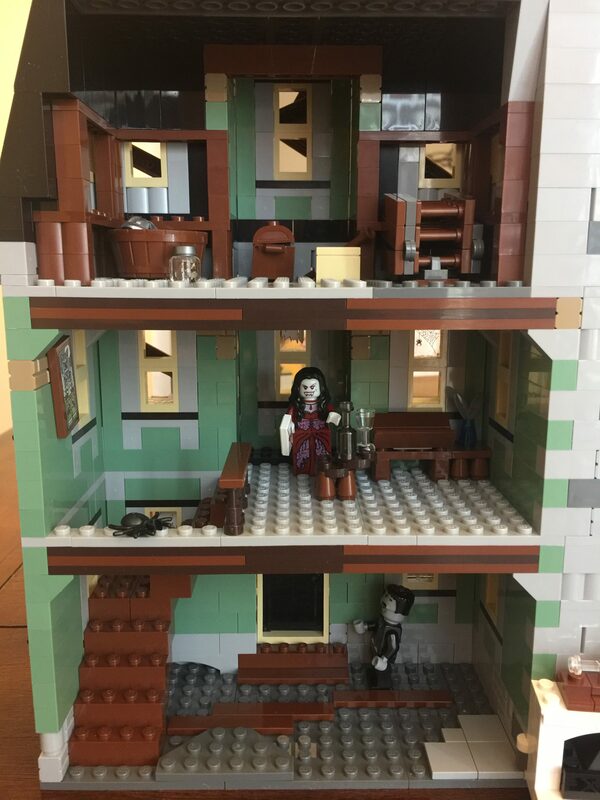 I think that LEGO® did a great job with the overall look. The exterior looks like the Phantom Manor at Disneyland Paris. The interior could have had more details, but it is still fun. In the end I would still love to have one to display, especially on Halloween. 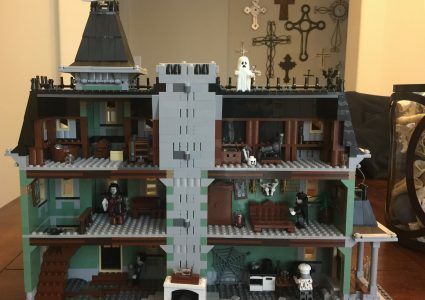 I hope that LEGO® makes another Haunted Mansion, maybe one inspired by the Haunted Mansion at the Magic Kingdom at Walt Disney World!